A limited number of scholarships are available for eligible teens to participate. 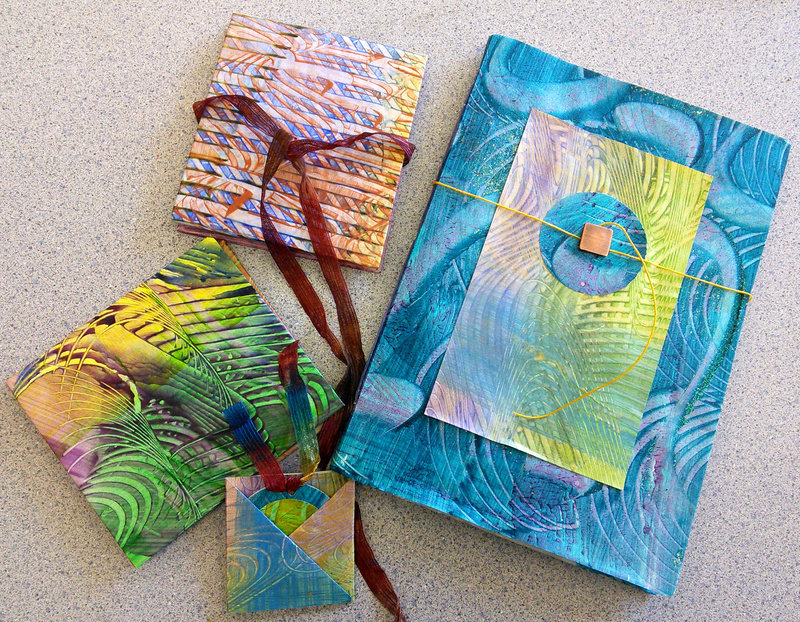 Timed to enhance and personalize your holiday gift giving, Coos Art Museum’s two-day Paper Art Workshop presented by Mary Humphrey and Holly Rodenkirk will take place Saturday, November 1 and 8, 2014 from 10 a.m. to 3 p.m.
Workshop participants will be using a combination of cooked paste and acrylic paint to create distinctive patterns on the surface of papers (keep your eyes open for items around the house that could be used to make unique patterns). The following Saturday participants will use their creations to construct one-of-a-kind handmade books, greeting cards, picture frames, wrapping paper, and gift bags. Join Holly and Mary for two days of creativity and enjoyment. No previous experience necessary. Important notes: There will be an additional $20 materials fee due the first day of class. Media: Paper and mixed media. Skill level: All skill levels welcome. Age Range: Teens and adults. 6 participants min. / 8 max. The fee is $100 for CAM members / $115 non-members for the two-day workshop. A limited number of scholarships are available for eligible teens to participate. For additional information, contact CAM’s Art Education Department at (541) 267-3901 or sldonaldson@coosart.org.